Stephen Rees has the story. I have to mention how dumb I think this is. 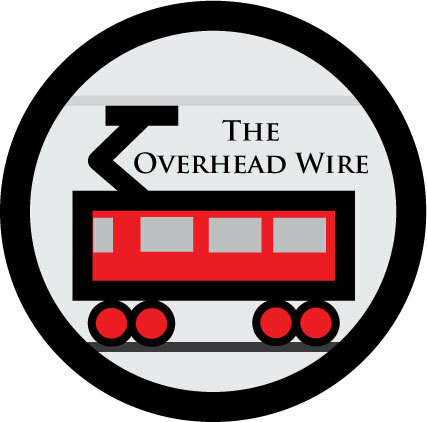 At a time when fuel is going through the roof, to get rid of overhead wires that can be used for clean electric propulsion and go with "hybrids" is folly. The thing that really gets me is the claim that in 2010 ETBs will be almost a million dollars a piece. Who got these numbers? It was mentioned on one of my list serves that there is a perfectly good trolleybus for sale out there for $500,000(can't find costs for this particular one, but I'm sure there is a low cost version out there. It's just an electric motor!). Obviously no one was looking into it. And apparently, the 7 of 13 council members are into spewing more particulates into the air. When are we going to get serious about air quality. I must say I appreciate the Muni lines that have electric wires. When I'm walking on the street, I don't feel like I'm breathing dead dinosaur. Just so you know. The ETS head of transportation was using WIKIPEDIA as a source in the debate. Yes WIKIPEDIA. That alone says a lot about the state of transit in Edmonton. Ah, another example of those who don't study history are doomed to repeat it. If I remember correctly, we had an "energy crisis in the 1970s. And the Chicago Transit Authority took that point in time to get rid of their electric trollybuses. Just try to convince them that the trolleybuses are really "plug-in hybrids". Then they sound cool and new. And for stupid de-electrifications, you can't beat the Milwaukee Railroad, which de-electrified so that it could sell the copper wire for scrap. At the height of the 70s oil crisis.